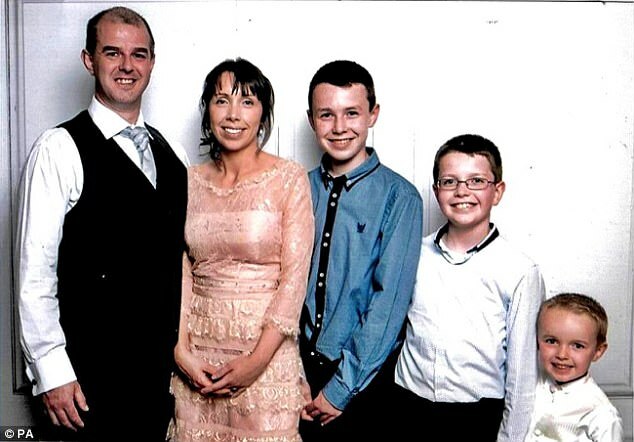 Alan Hawe, his schoolteacher wife Clodagh and their three children Liam, 13, Niall, 11, and Ryan, six, were found dead in their home near Ballyjamesduff, Co Cavan, Ireland on the morning of August 29, 2016. The pathologist said there were similarities in how the three boys died, and it was difficult to conclude this was coincidental. A toxicology test showed Mr Hawe had no alcohol or drugs in his system at the time of his death. 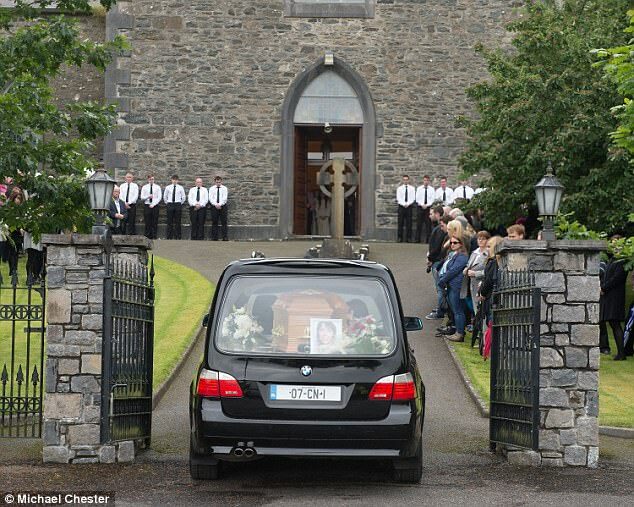 Clodagh's mother fought back tears as she recalled the feeling that her son-in-law was responsible. At the inquest Mary Coll, mother of Clodagh Hawe, said she found a note on the back door of her daughter's house for gardai to be called. She also revealed a sense of foreboding that her daughter and grandchildren had been killed by husband and father Alan Hawe. Clodagh Hawe's mother told the inquest she had driven to her daughter's home after she did not turn up on time to drop two of her sons off. When she arrived she saw two cars in the driveway and the curtains drawn. Mrs Coll told the hearing that she did not go into the house. She rang 999 and then went to a neighbour. 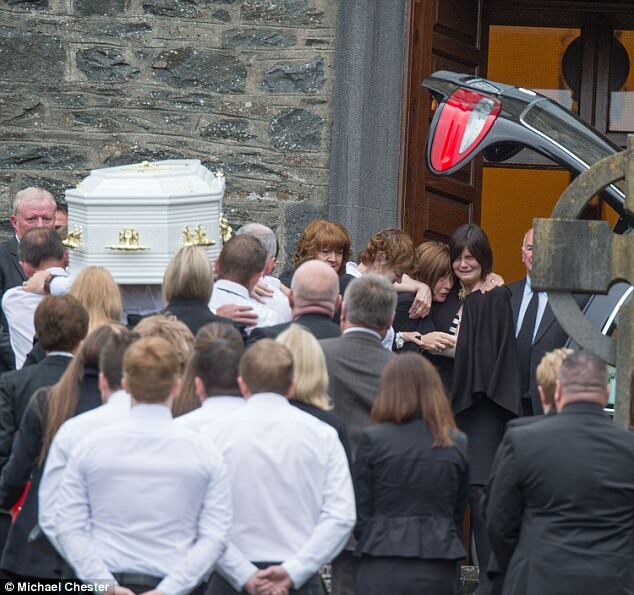 Mrs Coll told the inquest: 'I told them, I think Alan has done something terrible, that Alan had killed them all. I knew it was Alan's handwriting. Earlier Mrs Coll had said everything appeared normal the evening before the murder-suicide. She had spent an hour or so chatting with son-in-law Alan Hawe after the family dropped in for a cup of coffee on a Sunday evening. There was only one hint of unhappiness - it was the end of August and Hawe, principal of Castlerahan National School in Ballyjamesduff, Co Cavan, was not looking forward to going back to school. Earlier that day Liam, the eldest of the Hawe sons, had won a basketball match in Virginia, Co Cavan. The family arrived at Mrs Coll's after 7pm on Sunday August 28 and the husband and wife sat in the kitchen having coffee and biscuits while the boys sat in the sitting room watching television. 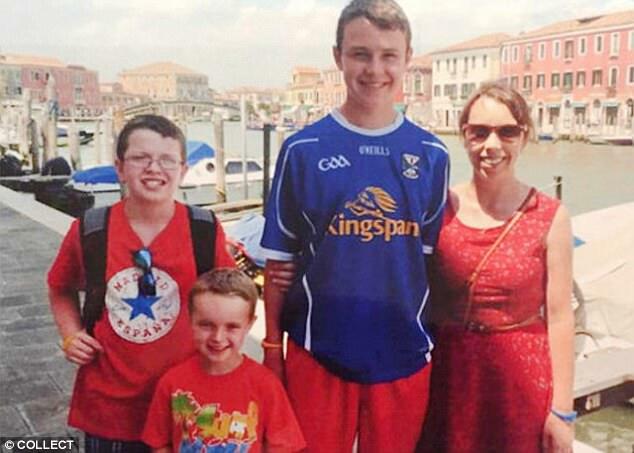 'Everything seemed normal,' Mrs Coll told the inquest into their deaths. Visibly distressed at having to relive the tragedy, the grieving mother and grandmother had to take a minute to compose herself before she began to give evidence. She told the hearing in Cavan courthouse that her daughter and family left her home at about 8.40pm. 'Ryan had to have a bath,' she said. 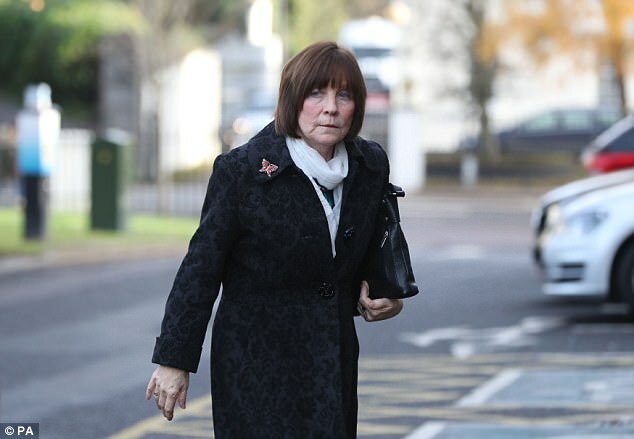 Mrs Coll only gave evidence for a matter of minutes, giving the jury a glimpse into the last time anyone in the family saw her daughter, son-in-law and grandchildren alive. The picture she painted of herself was that of a doting mother and grandmother. 'When they were leaving then I hugged them, I kissed them and said goodbye,' she said. Mrs Coll said she had shown some concern for Mr Hawe, who was due at school for a meeting the following morning. 'I said good luck going back to school,' she said. Mrs Coll said she discovered the tragedy after her daughter failed to arrive as planned at around 8.30am. 'She said not to worry if she was a little late,' her mother said. Her daughter's lateness prompted Mrs Coll to start making phone calls and leaving messages, including on her son-in-law's phone. 'I texted Alan, 'Is everything OK? Clo has not arrived yet',' she said. Her daughter's mobile phone was going to answerphone, the inquest heard. 'It was not like my Clodagh not to contact me,' she said. Some time after 9am Mrs Coll drove to her daughter's house and saw both cars in the drive. Alongside the signs of a normal family home, the curtains in the front rooms were still closed. Mrs Coll then told how she found the bloodstained note on the back door and called gardai. She said it was intended to establish four limited but factual questions - who the deceased were, when and where they died, and how they died. Dr Flanagan also said that under the law the inquest was precluded from questioning civil or criminal liability. 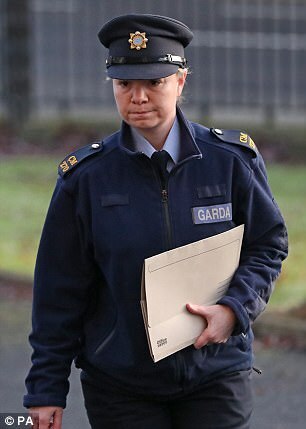 Gardai also told the hearing that a number of jewellery boxes were neatly piled on the centre of the bed in the master bedroom. Downstairs, as well as the white envelope taped to the inside window of the back door, a number of other notes were found by gardai, all of which were written by Alan Hawe, the inquest was told. There were bloodstains on some of the letters. Mr Hawe had written a lengthy note on three white, unlined, A4 pages that were found in a sealed envelope on the kitchen table, forensic experts told the hearing. There was also a second handwritten note, the inquest was told. Garda John Sweetman, a forensic handwriting analyst, told the inquest that he was given samples of Mr Hawe's handwriting from a birthday card and another note to compare with the notes found in the home. 'The possibility that another writer was involved is so remote that it can be discounted,' he told the hearing. Evidence read into the record from Rodney Lakes, of Forensic Science Ireland, revealed that blood on the envelope was matched to Mr Hawe's DNA. His analysis of the material also found that bloodstains on one of the letters matched Mr Hawe's DNA. There was also blood on one of the letters that Mr Lakes told the inquest provided a low-level DNA partial profile of Mrs Hawe. Mr Hawe's jeans were also bloodstained, along with the left sleeve of his shirt.